It is frustrating when you are trying to advance your career and see a particular skill or experience you don’t think you have. What do you do? Do you dismiss the opportunity thinking you are unqualified or won’t be taken seriously? If you are a woman, the likely answer is yes, according to a Hewlett Packard report. 1. Write out what you know. Put pen to paper, and identify the skills and expertise that you have. Look at your resume. Start with your most recent experience, and work backwards. Think about what you have accomplished. Write it down. The simple act of writing down this information will allow you to see what you know. Seeing is believing. Externalizing your expertise is powerful and will build your confidence. 2. Write out what you believe you don’t know. There is a difference between what you don’t know and what you believe you don’t know. Sometimes what you believe you don’t know stems from being scared or having a bad experience. You know more than you think. 3. Identify skills and experience related to what you believe you don’t know. Look at what you listed out as the areas you believe you don’t know. Ask yourself, “Is there something similar to this skill?” You may not have experience in one thing, but you probably have done something comparable. You have to identify and communicate related skills. Realizing that you have equivalent skills will give you the confidence you need to make others feel confident in your ability. 4. Enhance your skill set. For the skills and areas that you lack sufficient knowledge, fill the gap with education or sideline experiences. Take a course or moonlight. You are in charge of your career. Do what you need to do, and learn what you need to fill your skills gap and increase your confidence in your ability. 5. Tell yourself that you can learn it. Being challenged is part of the career advancement process. If you don’t stretch yourself, you won’t move. Have the courage to know that you will learn what you don’t know. Identifying skills similar to what you thought you didn’t know will help you realize the gap is smaller than you think. 6. Tell people that you can do it. You don’t have to know everything to be able to do something. You need to know enough and have the problem-solving skills to figure out the rest. Tell people you can do it. The rate at which the world and workforce is changing makes it difficult to continue doing the same thing. Leaders and leading companies depend on people who can apply their skills and learn on the job to innovate. Leaders value people who have the confidence and courage to move into uncharted territory. 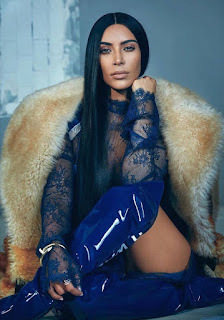 Kim Kardashian West is unrecognizable in her latest photoshoot for New York Time's new Singapore Magazine. 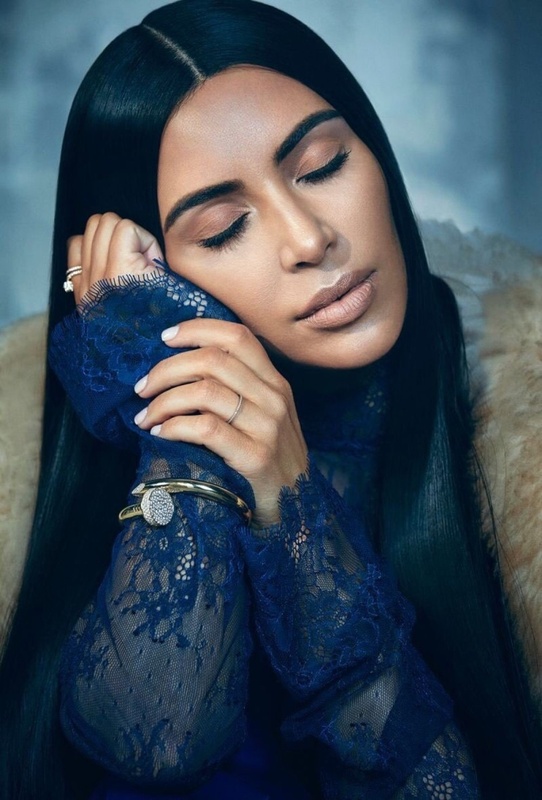 The reality star shared the images on social media. 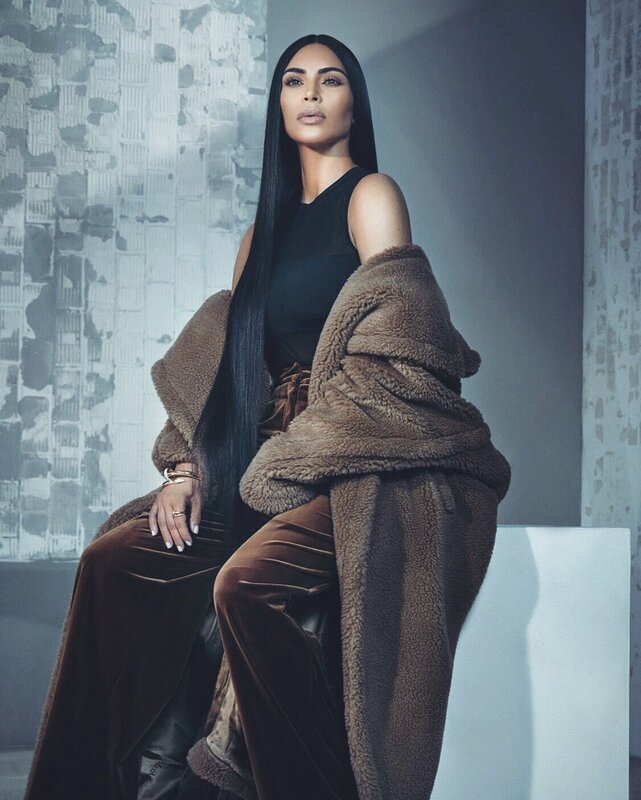 Kim was shot wrapped in a Max Mara Mantova Collection from the Fall 2017 edition. 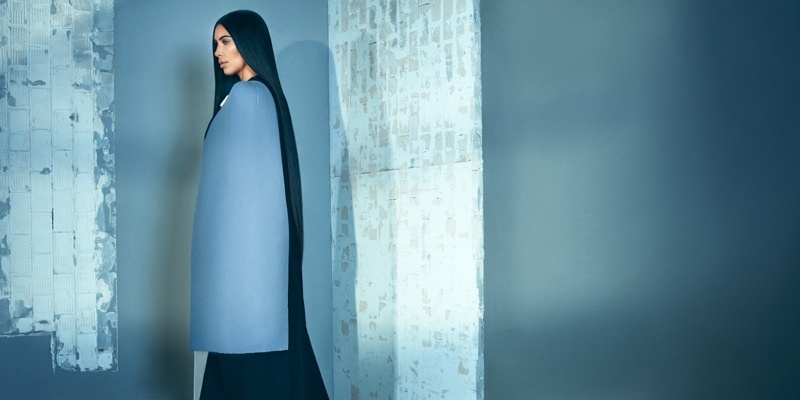 The social media star was photographed by Dennis Leupold. Beyonce and hubby Jay-Z went on a date night recently in New York. The singer showed off her new figure rocking some red-hot styles at a Bruno Mars concert. The singer really looked good as she flaunted her adorable diamond rings with her kids -Blue Ivy, twins Sir and Rumi first initials. An Italian woman has married herself in a ceremony complete with white dress, three-layer wedding cake, bridesmaids and 70 guests. The ceremony carries no legal weight. But Ms Mesi is part of a growing trend for self-marriage - dubbed "sologamy" - in countries around the world. Ms Mesi says she is the first Italian woman to hold a solo ceremony. In May, a man, Nello Ruggiero, said "yes" to himself in a ceremony in Naples. But in media interviews Ms Mesi acknowledges that solo weddings might not be for everyone. To marry yourself, she says, you need a certain amount of money, the support of those around you, and - above all - "a pinch of madness". Today, women not only manage their household liabilities and family concerns but also their careers. They are at par with men in all financial matters. However, when it comes to creating their own financial planning roadmap, they often take a back seat. However, it is important for every woman to have the drive to invest, save, and create a portfolio which can help achieve her financial goals independently. Women should explore the financial world and plan their finances well enough so that they may not remain dependent on others for accomplishing their financial needs. Adhil Shetty, CEO, BankBazaar.com said, historically, women have had limited exposure to the financial world and fewer chances to learn. This was amplified by the perception that finance is a dry, complex subject that requires too much study. Moreover, between managing the pressures at work, and taking charge of their home and family after office, women are left with little leisure time. All these factors have held back women from taking independent financial decisions,” he said. However, women are slowly realising that not only do they tend to be the most severely affected because of incomplete financial planning, it is also more likely that they may face financial hardship in their old age as life expectancy is increasing. Women, who are the real managers’ of their family should take responsibility of managing their household budget to run the family expenses smoothly. Shetty said that families, too, are realising that women, who are at the center of the family, are more capable of taking better financial decisions for themselves and their families. This has resulted in more women taking an active interest in their finances. “The good news is that the tide is turning; it may be slow, but in time, women are turning out to be decision makers in all spheres of life, including their own finances,” he said. Knowledge of different investment avenues, savings, and expenses is important. A separate personal finance portfolio will prepare women to face financial challenges independently. This will help them to understand various implications related to gains and losses and outcomes related to financial goals. Achieving one’s goal will also give them the confidence to get them prepare for the next one. “Fortunately, there are digital financial planning tools available that make the process easy to understand and implement. By using such tools, women can contribute to their family’s financial well-being by saving in a structured and efficient manner. This helps in allocating savings to financial assets like debt and equity, which deliver higher returns than traditional assets like gold and FD’s,” said Vaibhav Agrawal, Head of Research & ARQ, Angel Broking Pvt Ltd.
Not only investments but savings are also very important to create an emergency fund and maintaining an adequate emergency fund should be one’s top priority to tackle unfortunate circumstances like a job loss, divorce or death of a spouse. Ideally, one should maintain at least six months of your mandatory monthly expenses. “Financial planning helps in saving for life’s goals such as a home, a vacation or even for a rainy day. However, saving for financial goals can be a complex task,” said Agrawal. What if a woman lives more than her spouse? In such case, it becomes important for women to be In-charge of their finances so that they are able to handle things on their own. Therefore, they should start thinking that someday or the other they might need themselves to manage their own life. And it would be best if one starts planning their finances as early as possible. “Statistics show that, on an average, women live longer than men, earn lesser during their lifetime, and have shorter careers. Moreover, women tend to focus on meeting the immediate, short-term, and long-term financial requirements of their family as opposed to saving up for the future. Because of the differences in the earning patterns and priorities that women set for themselves, their finances should be managed in a different manner,” said Shetty. 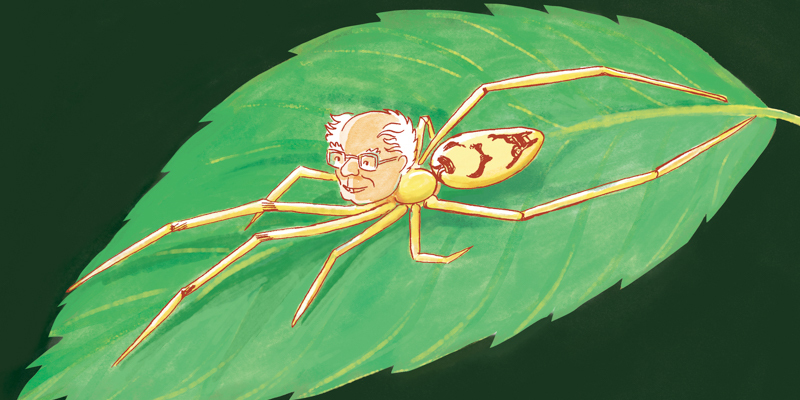 Scientists have named 15 new species of spiders after former President Obama, former first lady Michelle Obama and Sen. Bernie Sanders (I-Vt.), Leonardo DiCaprio, David Bowie, David Attenborough and others. The names are Spintharus barackobamai, S. michelleobamaae, S. berniesandersi, davidattenboroughi S. davidbowiei and S. leonardodicaprioi among others. The study is published in the Zoological Journal of the Linnean Society. Dona and Seu Russo were married in 1957 in a modest wedding was in a relative’s yard with a cake baked by an aunt and a godmother sewing the wedding dress – none of which was caught on film. 60 years later, the loving couple got a chance to pose for the photographs they never had at the time. The couple had just their memories of the special day until photographers Vivian and Dávid Balatonfüredi from Sao Paulo Fotografia, along with collective of creatives from São Paulo, Brazil, came together to help them mark 60 years together. And, of course, photograph it this time around. Their celebrant — who helped them renew their vows — Fernanda Caetano shared the story of the couple’s two weddings Instagram page. The celebrant revealed their second wedding was made more special as they were able to share it with their nine children, 16 grandchildren and four great-grandchildren. A wedding dress designer as well as a local florist and tailor made sure they had everything they needed for a beautiful day while a wedding decorator captured the essence of their original wedding, with an outside ceremony with vintage and romantic details. In their photographs that were 60 years in the making, the couple look very much in love, looking at each other with wide smiles, holding hands and leaning closely together. This is a reminder to us all that true love still exists. Beyonce showed off her beautiful post birth body just three months after giving birth to twins Rumi and Sir with Jay Z on Monday night. The 36-year-old singer looked so good in tight hot-pink trousers and skin tight skirt flaunting her famous booty. The World Health Organisation (WHO) said that “antimicrobial resistance is a global health emergency”. The remarks come after a new WHO report found a serious lack of new drugs in development to combat the growing threat of antibiotic resistance. 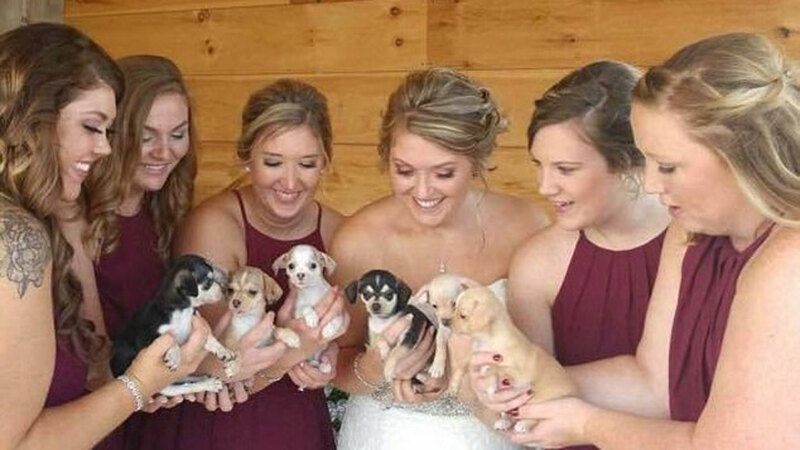 A 23-year-old Iowa woman replaced bouquets with rescue puppies for her wedding day in a bid to help the dogs find homes. Samantha Clark came up with the idea to have the pups in her wedding after she saw another bride do the same thing on Pinterest. She wanted to encourage people to adopt pets from rescue shelters, rather than buying them from breeders. “I originally wanted to use my own three dogs but decided that they already have love and a home so I decided I wanted to try to help rescue dogs,” said Clark. She contacted a local shelter, AHeinz57 Pet Rescue and Transport, to see if they had puppies that could be included, and they did. 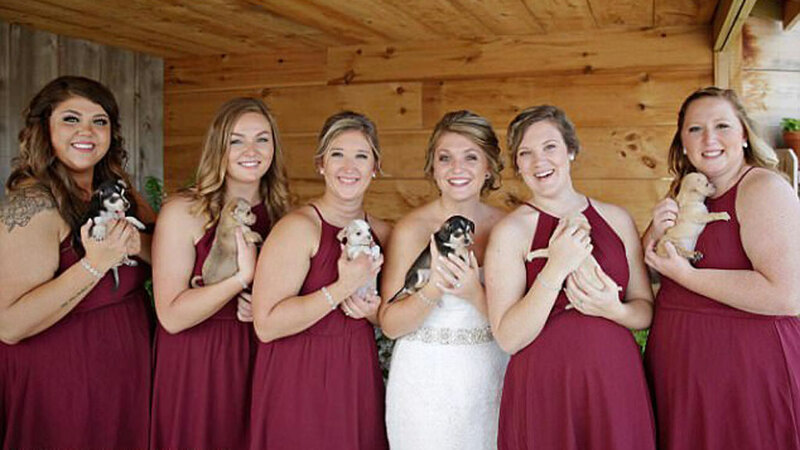 The eight-week-old puppies were carried down the aisle at Clark’s September 9 wedding by her bridesmaids. The bridal party also took pictures with the then 7-week-old dogs for Clark’s wedding photo shoot. 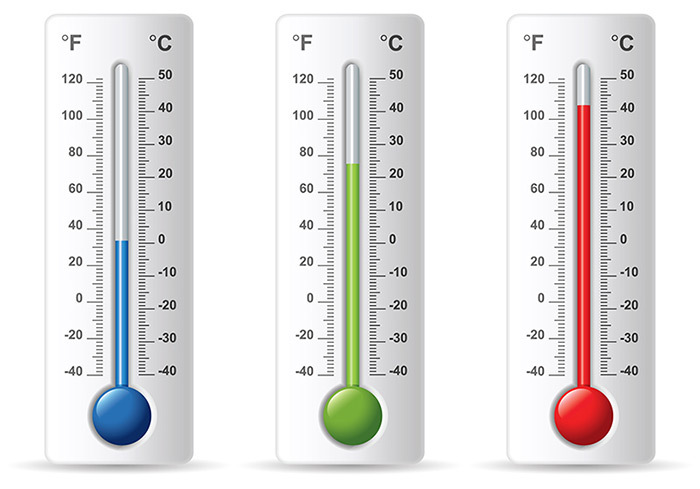 Thermometers happen to be one of the most commonly used medical devices. Naturally they are one of the must haves in every household. Body temperature helps you to understand if your body is struggling with anything. One of the initial symptoms of any internal abnormality of your body is manifested by a high temperature which in turn can be detected with a thermometer. There are a plethora of thermometers that you can use. The glass thermometers are the old fashioned ones. You can read the current temperature with the red line inside the thermometer. The modern thermometer consists of a metal tip and digital temperature read out. But for ensuring that the thermometer gives the right results you should use it in the right way. Here are some of the tips for using thermometers correctly. Just read on to know. · Get the Thermometer Ready – For proper usage, thermometer requires to be prepared. Be sure to clean the thermometer prior to using and after every usage, even though it is a brand new thermometer. There are also some thermometers that come with available tips that you throw away after every usage which assists in keeping the thermometer clean and germ-free. · Prepare the Thermometer for Usage after Cleaning – Prepare the thermometer for usage once it is clean. If you are using glass thermometer then make sure that you shake it up. This will reset it. When you see that the temperature drops below 96 degrees it is time that you use it. In case it is a digital thermometer, you should switch the power on and ensure that there is no error message present. You should also make sure that the batteries don’t need to be replaced. · Place the Thermometer Correctly– You should place the thermometer inside your mouth once it is fully prepared. But to use to it properly you should place it securely under the tongue. Make sure that it enters halfway inside the mouth. Rest the tongue on the thermometer once it is inside your mouth. · Offer Enough Time to the Thermometer for Accurate Results – You must provide enough time to the thermometer for accurately reading the temperature. For the reading to occur, thermometers can take a few minutes. It varies depending on the type of thermometer used by you. For glass thermometers you have to wait for three to five minutes. A digital thermometer will be able to give the result more accurately and much faster than the traditional glass counterparts. You just have to wait until the thermometer beeps and then remove it from the mouth. It may just take 20 seconds. 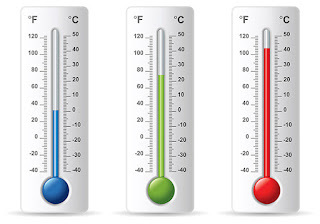 · Read the Temperature – Read the thermometer once you have taken it out of the mouth. You should place it at the eyelevel. Check the height of the red line in the glass thermometer. You should consider the number written beside it. With a digital thermometer it is much easier as you can find it on the display screen of the thermometer. Due to air temperature the reading can decrease after just a short while. That is why you should read it immediately. Apart from knowing how to read the thermometer, it is also recommended that you purchase quality thermometer online for accurate results. Tennis great Serena Williams and and her fiancé, Alexis Ohanian have welcomed their first child together. 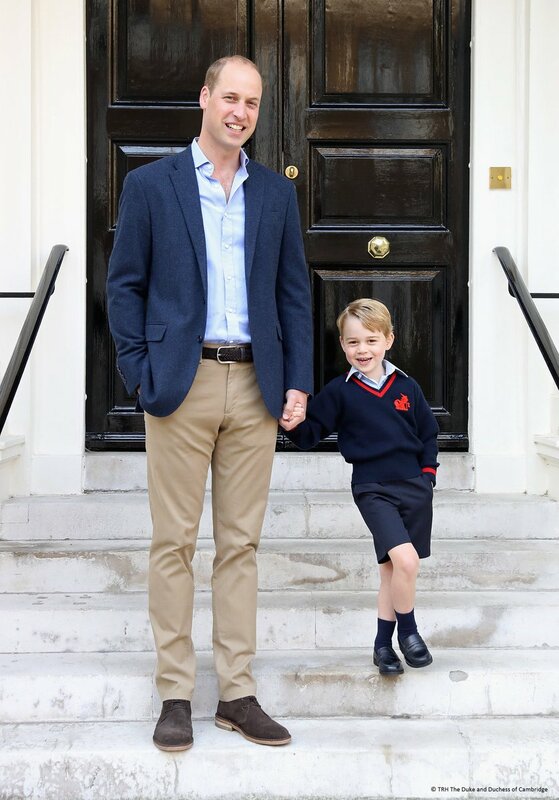 Williams shared the happy news on social media on Wednesday morning. The baby girl is christened Alexis Olympia Ohanian Jr.
A new study published on Monday in the latest edition of Annals of Internal Medicine has revealed that sitting for excessively long periods of time is a risk factor for early death even for people who hit the gym after a long day in a desk chair. It was concluded that both the total volume of sedentary time and its accrual in prolonged, uninterrupted bouts are associated with all-cause mortality, suggestive that physical activity guidelines should target reducing and interrupting sedentary time to reduce risk for death. The nature of work is evolving at breakneck speed. A raft of collaboration tools makes it easier for dispersed groups to achieve common goals, and changing norms regarding flexibility are challenging the conception that an organization's work takes place in a central location between 9 a.m. and 5 p.m. To cope, and better yet, to flourish in a 21st-century work environment, here are five rules to consider as you seek to optimize your career. Do you live by the project tracking provided by Asana? Love being mobile while keeping on point with Slack? It's never been easier to engage in remote work, or to plunge into a career on your own in the gig economy, perhaps as a digital nomad. But there's a downside to the technology that enables our freedom, in that it can also allow us to isolate ourselves. Participating in collaboration-centric platforms can have the unintended effect of making you less relevant if you don't find time to physically check in at the office, or at least use technology for slower, one-on-one interactions. Given the leap in the availability of online courses, there's no excuse for not sharpening your career skills. Obtaining a certification in a specialized part of your field can sharpen your career prospects and earnings. This is true for those without advanced degrees and those who already have enviable professional qualifications. Many employers will pay for supplemental training and education, especially if the skills or learning you pick up will enhance your ability to perform at work. And for those currently looking for a new position, an employer's support of educational opportunities should be high on your list when you rank where you'd most like to be employed. Somewhat related to the preceding point, increasing your value to your organization is the surest foundation to realizing more income over your career. When you're able to point to concrete and hopefully measurable results, you claw back some of the bargaining power that employers always seem to hold in the conversation over compensation. If you're a freelancer or working in the gig economy, remember that the same holds true -- it's just that your value is potentially spread among many different customers or clients. So try to improve with every job or service -- whatever your unit of output is. Conversely, if you've been coasting and haven't put all your effort into raising both your own and your organization's value, it's probably premature to try to realize your value, i.e., to ask for higher pay. So go out and firm up the compensatory ground you plan to stand on. Does the idea of asking for a raise make you squeamish? I've prepared a brief two-step guide that should help you increase the odds that your salary or wage increase request will be successful. For those with flexible jobs, drawing lines around work can prove vexing. Perhaps you're a freelancer and set hours are hard to come by. Or you work in a traditional position, but as part of a global team, so you're on conference calls to Asia while your family is in pajamas. Don't become overwhelmed by a fluid work environment, but instead try to figure out what you can control, and make sensible rules that both you and your employer (or clients) can respect. You might not work a typical 9-to-5 job, but boundaries of space and time between work and the rest of your fruitful life should be sacrosanct to you. As traditional models of employment have evolved, so, too, have methods by which employees build retirement benefits. Defined benefit pensions, in which an employee can expect a pre-determined yearly payout on retirement, are fading as more employers shun the long-term liabilities associated with these plans. You're much more likely to encounter a 401(k) or similarly structured plan in your workplace, in which contributions can be discretionary for both employer and employee. Having said this, the most important nest-egg rule is to begin deferring or otherwise contributing to your retirement, and doing it now. No one else will create a safety net for you. Find out the maximum you can contribute to your employer's plan, and try to get as close to that number as you possibly can through regular paycheck withholdings. Beyonce celebrated her 36th birthday recently. above is a picture of a very special treat baked for her celebrations by Cake Life Bake Shop. 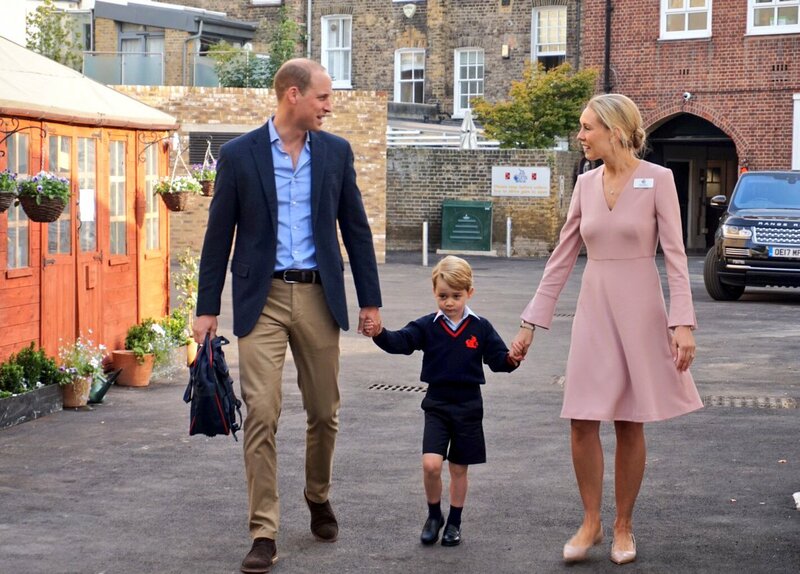 Prince William and Kate Middleton's first child Prince starts lower school at Thomas's Battersea in south London today. 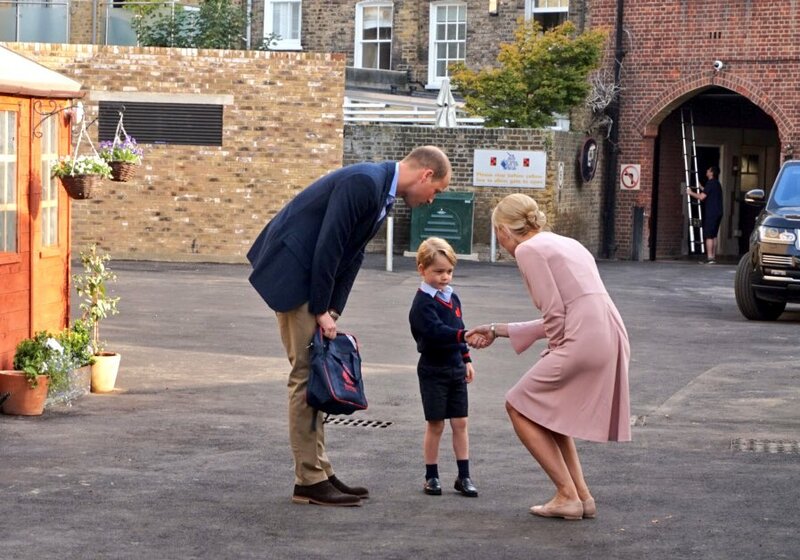 The 4-year-old was accompany by his dad, Prince William to the school. 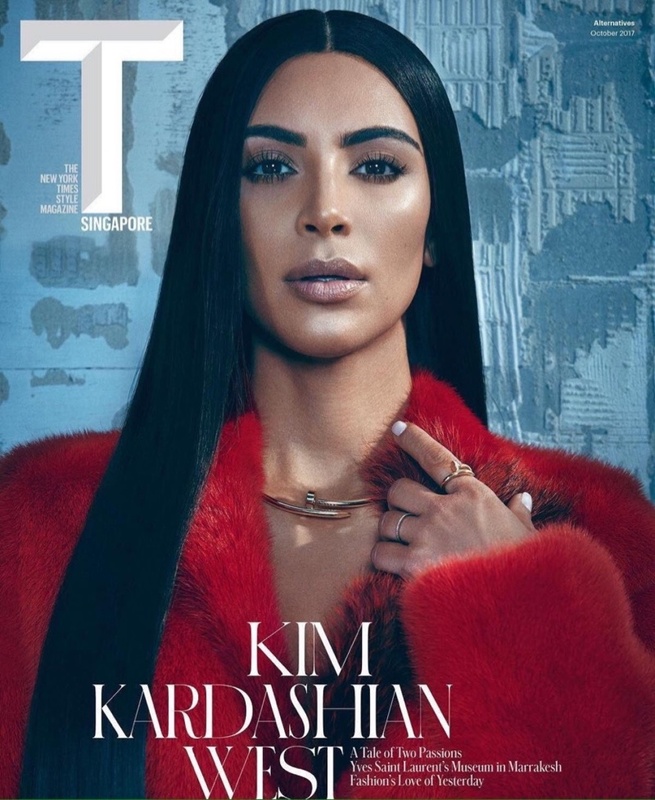 This is her 6th cover for the magazine. 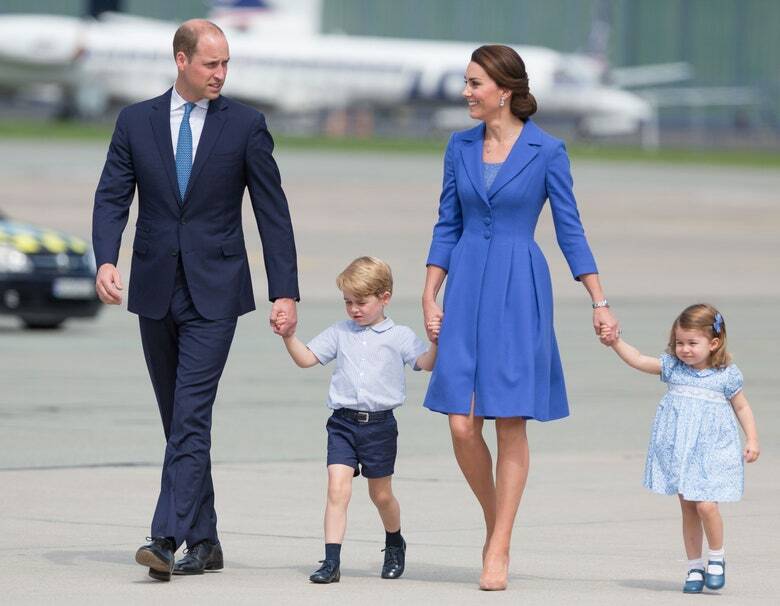 "Their royal Highnesses The Duke and Duchess of Cambridge are very pleased to announce that The Duchess of Cambridge is expecting their third child,"